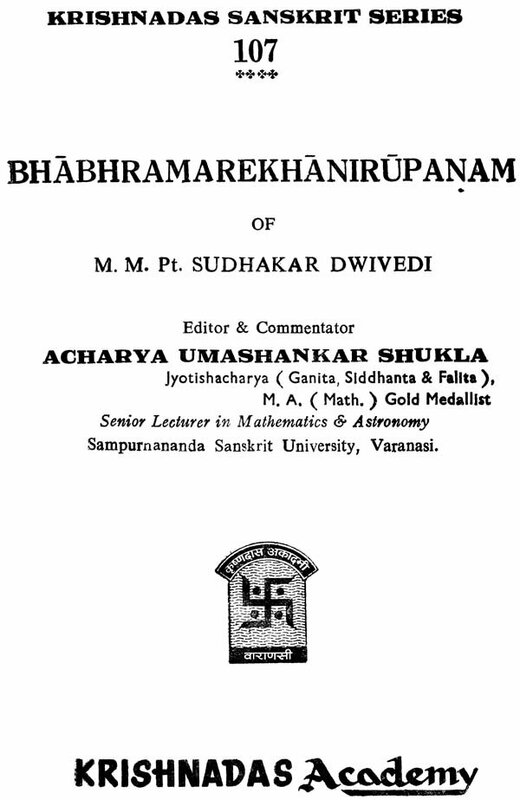 The book 'Bhabhram Rekha Nirupanam' composed by Pt. Sudhakar Dwivedi is a link between the study of Indian and Modern Astronomy. 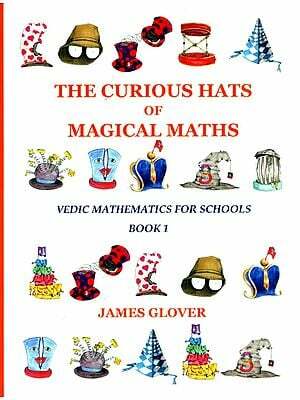 Without the knowledge of mathematics none can dare to reveal the facts of Siddhanta Jyotish. So the mathematics and astronomy is very essential for it. Pt. Dwivedi was a renowned scholar of his age. 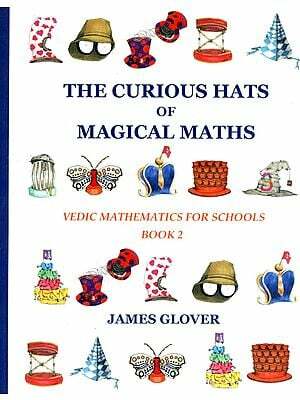 He had studied ancient Indian and modern astronomy thoroughly and had written many books in all the three branches of Indian astronomy and mathematics as well. The theory of the 'Shadow-path' is known in India since the time of the "Surya Siddhanta". The path is a circle at all places on the surface of the earth. This theory was accepted and worked upon by several Indian ancient astronomers like Lalla, Sripati etc. 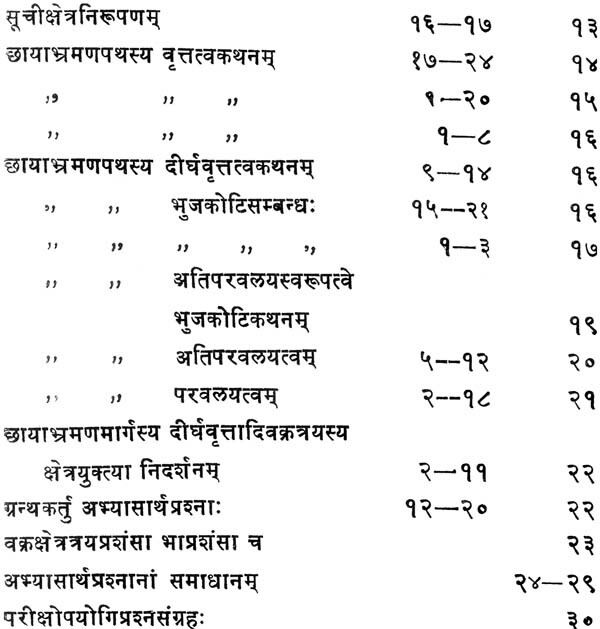 Later on Bhaskaracharya proved the theory to be wrong but could not establish his own theory firmly. 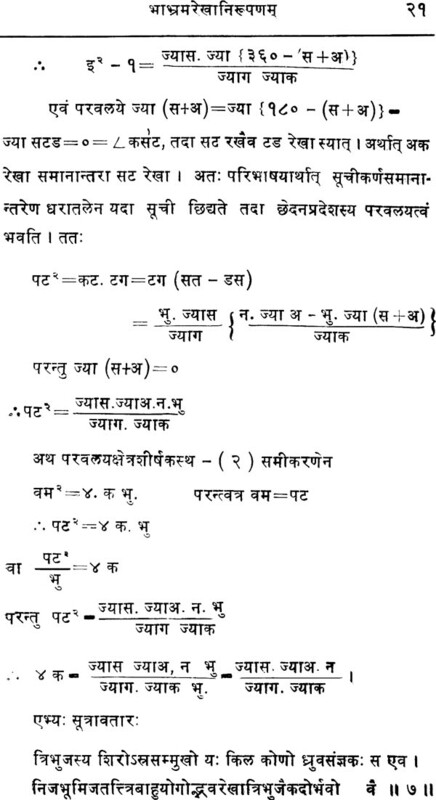 After that Mahamahopadhyaya Pandit Sudhakar Dwivedi wrote this book where he has clearly shown that the path of shadow is a hyperbola where the latitude is less than 660. Above this latitude shadow-path is a parabola, after that near the Meru it is an ellipse. On the Meru (where the latitude is 900), it is a circle. It is a straight line at zero latitude on equinoxes. 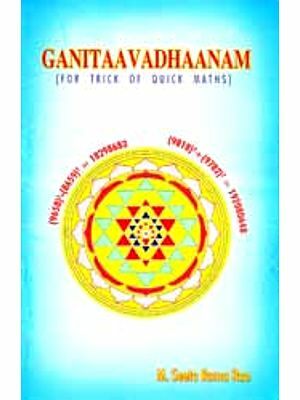 This book is very useful to the students of Siddhanta Jyotish learning in Acharya classes. In this edition I have solved unsolved problems raised by the author in the end of the book. I have also given footnotes where it was necessary to create further interest of students. 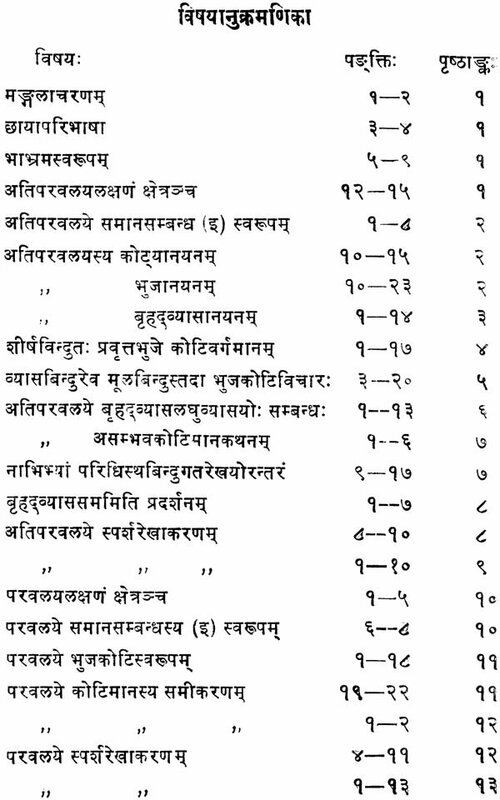 My readers will kindly excuse me for any mistake which might have crept into it unknowingly, last of all I thank the head of the Chowkhamba Sanskrit Series Office who has kindly taken the troubles of publishing the book.